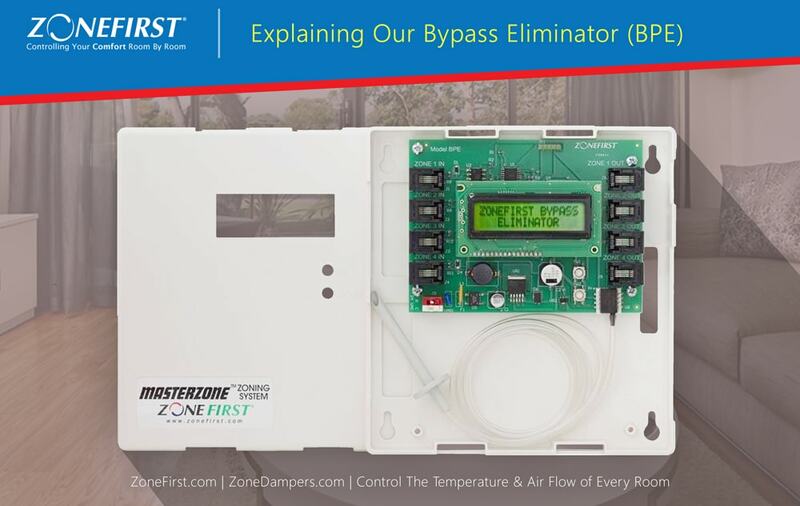 For use only with ZoneFirst Plug-In zone dampers and control panels, the ZoneFirst Bypass Eliminator, also commonly known as the BPE, will control your system’s static pressure to ensure that it does not surpass your systems Upper and Lower Limit Set Points. An HVAC system is designed to manage a determined volume of air flow. 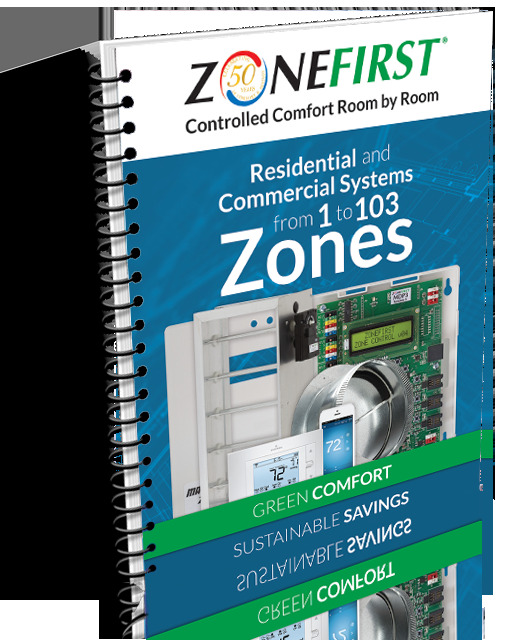 With zoning, a call to a zone to either open or close an area can result in a change in your HVAC’s static pressure, causing your system to possibly not work as efficiently as expected. 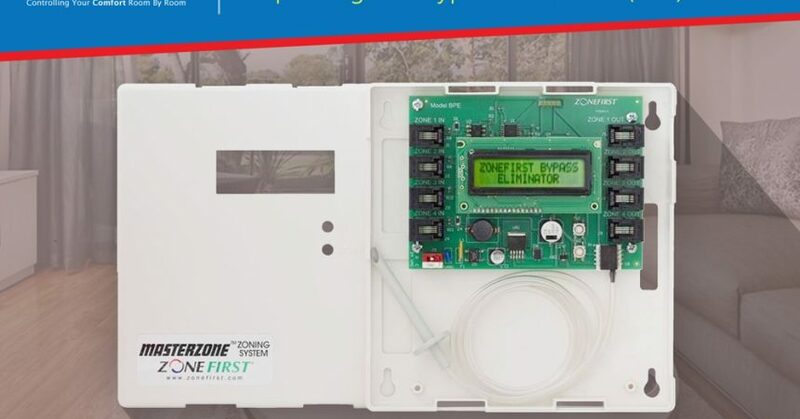 By installing ZoneFirst’s BPE, this will monitor your system’s static pressure level and open or close dampers to either release or increase the static pressure as needed. 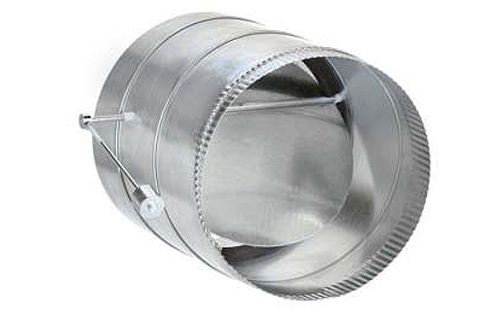 This results in your system working at its optimal capability, while eliminating the need to install a separate by-pass duct and damper directly into your return duct. 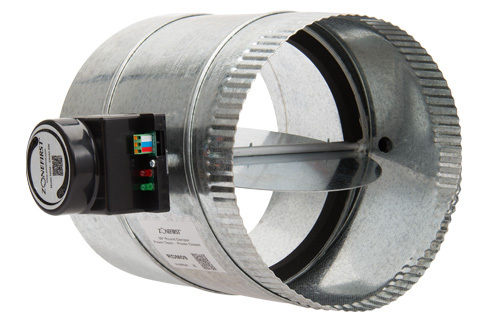 The BPE can control up to 4 zones on a single HVAC unit and up to 10 dampers per zone on the output terminals. 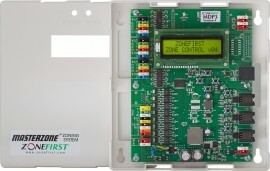 When the BPE gets a signal from the Zone Controller that a zone damper is to be powered open it immediately opens the corresponding zone damper(s) on the output terminals. 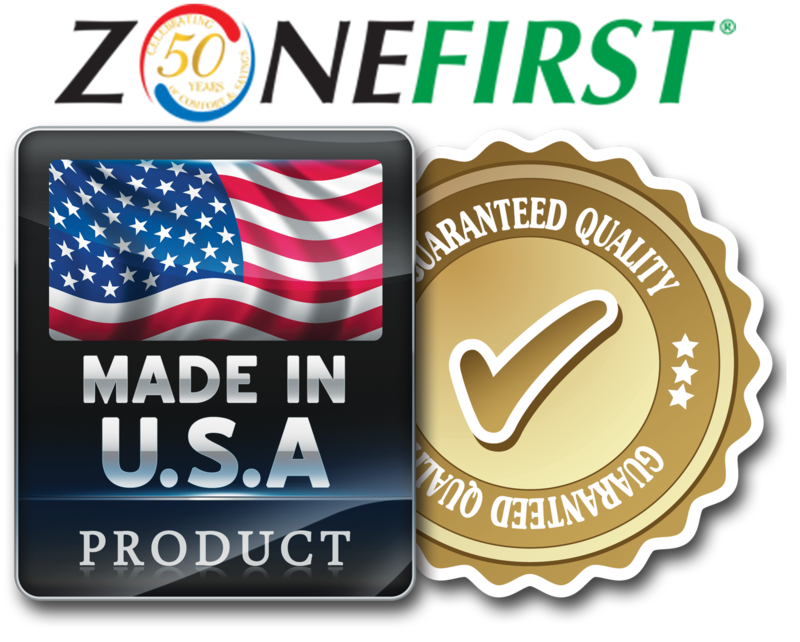 Anytime the BPE’s pressure sensor detects that the pressure in the supply plenum is higher than the Upper Limit Set Point, it will modulate the closed zone dampers open to relieve the excess pressure into those zones. As these dampers modulate open the air pressure should drop below the high set-point and the zone dampers stop. 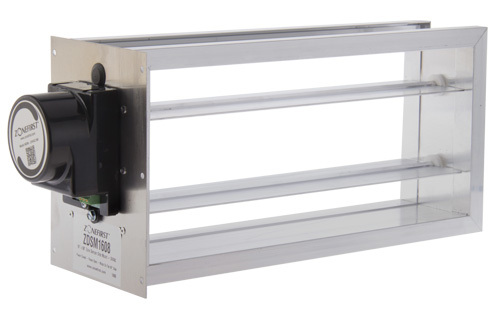 Once the pressure has equalized to higher than the Lower Limit set point and lower than the Upper Limit set point the BPE will signal the dampers to stay in their current position. 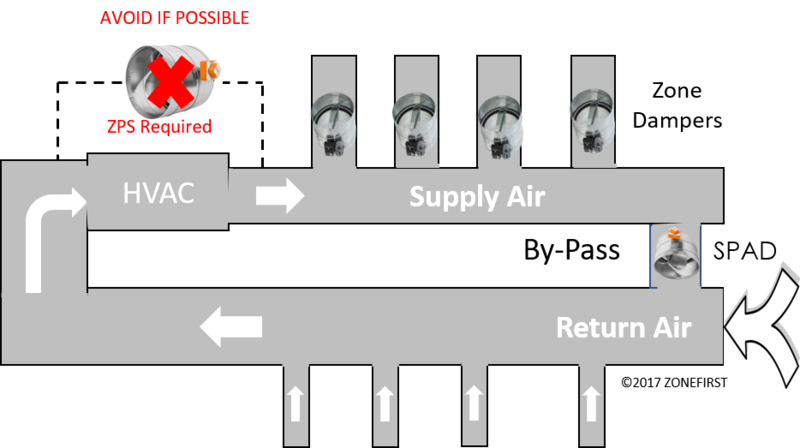 When the BPE’s pressure sensor is below the Lower Limit Set Point, it will close the zone dampers resulting in complete HVAC efficiency as we outline here. 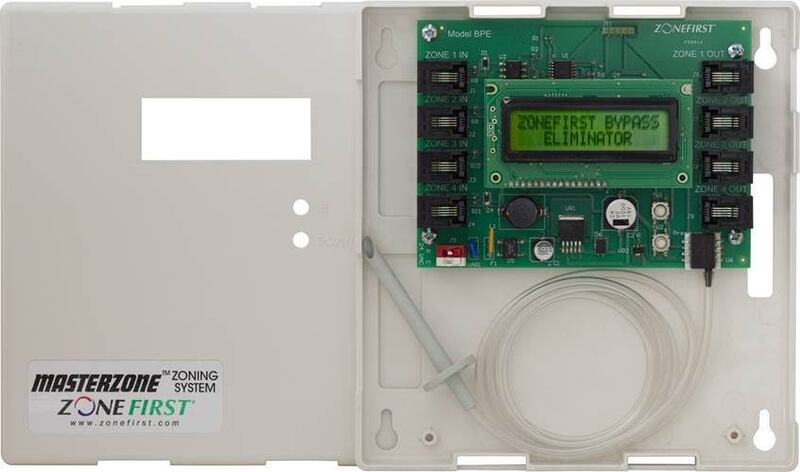 For more information on this product, please visit http://zonefirst.com/product/bpe-bypass-eliminator/.